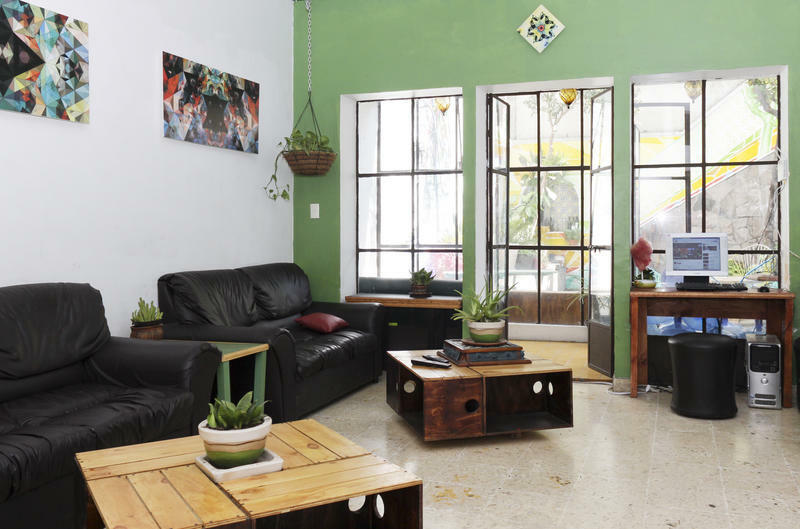 Avant Garden GDL is a hostel & event space for both short term and long term guests. We host parties, concerts, cookouts and recommend the best bars and restaurants to visit while in GDL. 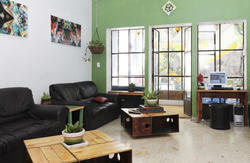 We have private rooms and shared rooms at the most economical prices in Guadalajara. AvantGarden has 20 beds for all kinds of needs. Dorms and private rooms are available at the best prices around, all of them including Wi-Fi, 24 hr reception, free maps, hot water and knowledge of the best local restaurants and bars in town. Our patio is where the events take place, concerts, parties, cook outs and workshops. It's a large, mini jungle with colourful murals and hammocks and tables to eat your meals, drink your coffee, get a nice tan or drink a caguama with your friends. We organize concerts, cookouts, parties and even workshops from time to time. Staying with us, you can expect to have a great time in the best area in the city. We are located in Colonia Americana, one block from the famous Chapultepec. There are enough restaurants, bars, clubs and culture to keep you entertained for years. Cancellation Policy : 3 days. Only cash payment accepted on arrival. Please contact the Hostel for PayPal payment in advance. Check-in time from 10 am. Check-out time : 12:00 noon. Our hours are 24/7. Please call before arrival or send an email with a realistic arrival time, so we can have a bed set up for you and your friends. Age limit: more than 18 years old, less than 60. Drinking water, internet, gas, electricity, washing machine are included. A set of keys will be issued to you with a personal locker, locks included. We are smoke friendly but do not permit the use of illegal substances. All we ask is that you keep your area clean and wash up behind yourself. From the airport, you will take a cab to zone 6. Colonial Americana. In between Ave. Chapultepec and Ave. Americas. We are neighbors with Hospital Sanatorio de Guadalajara.